With Mother’s Day just around the corner, now is the time to start thinking about what to get that special lady to show her how much you care. Most moms get flowers, which is great, but don’t you want to get mom something to make her feel really special? Don’t fret if you haven’t thought of anything yet, we have a great idea that not only will mom love but she will be able to use everyday too! Reading glasses are a great gift because not only are they functional but they’re also a fashion accessory – and, really, what lady doesn’t love that! 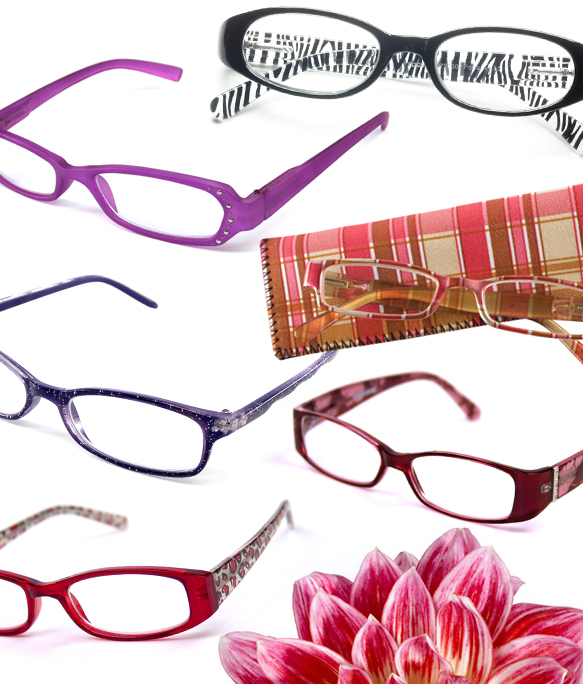 There are endless options for stylish reading glasses to keep mom seeing clearly and looking fabulous when she’s at the office, out to dinner with friends or relaxing at the beach. 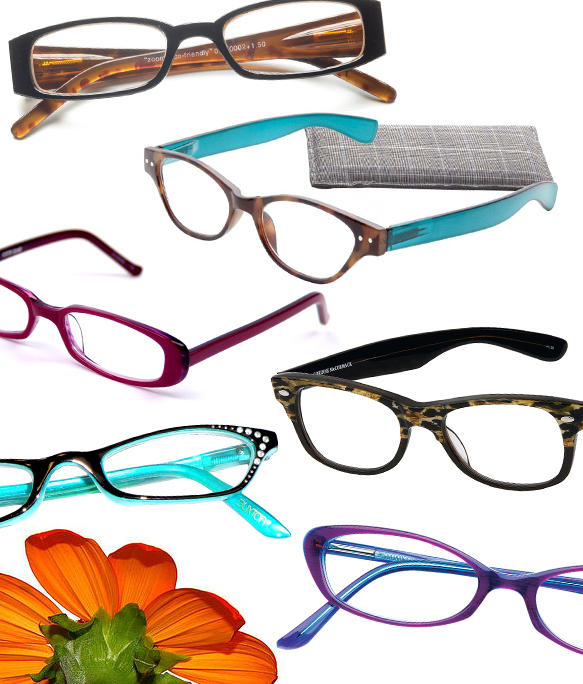 Plus, readers are available at an affordable price point so you can get multiple pairs to help mom switch up her look. Prints and color are a surefire way to show off style and personality. You can go for something bold like rich colors and wild patterns or more traditional depending on what your mom likes. Popular colors for spring include reds, purples and pinks as well as classic tortoise and black. Shapes are also fun to play with and right now we’re seeing lots of cat-eye and geek chic shapes in addition to traditional rectangular styles. 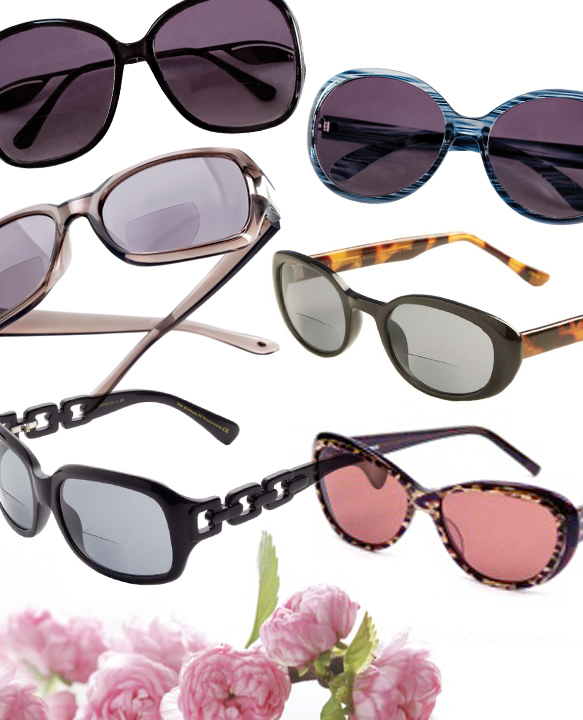 For moms who love to read outside on a warm, sunny day there are great choices in sun readers which are sunglasses with a reading power in them. This way mom can protect her eyes from UV rays while reading a great book. Solara (Nostalgia) by California Accessories; Solara (Bon Voyage) by California Accessories; Personal Optics (Eclipse) by Stylemark, Inc.; ICU Eyeworks (80046201) by ICU Eyeworks; ICU Eyewear (7185) by ICU Eyewear; Corinne McCormack (Pamela) by Corinne McCormack, Inc.
Now it’s time to go get your shop on and pick up some great new readers or sunreaders for mom. Just think, every time your mom puts on her hot new frames not only will she be looking good, but she will think about how wonderful you are to have given her such a thoughtful gift!